Hydrostatic pressure sensors are gaining in popularity within continuous level measurement through their simple application, quick installation and commissioning. However, how does hydrostatic level measurement work, what is meant by hydrostatic pressure and how can I reliably measure my level using this measuring principle? Level sensors based on hydrostatic pressure measurement generally measure the level or filling height in a vessel in accordance with the following principle: A liquid generates, through its specific gravity and the force of gravity, a weight force which increases with the filling height. This weight force, increasing proportionally with the filling height, is called the liquid column. So if one selects a hydrostatic pressure sensor, e.g. a model LH-20 submersible pressure transmitter, this sensor measures the height-dependent weight force of this liquid column, as a hydrostatic pressure. From the measured hydrostatic pressure and the density of the product, one can now calculate the filling height of the vessel. Hydrostatic level measurement has enjoyed high popularity for many years and represents with about 40 % market share (Source: What’s driving the process level measurement & inventory tank gauging markets, 2011 by VDC Research Group, Inc.) by far the most frequent form of electronic level measurement. Above all, it is notable for its high reliability and its very low installation cost. 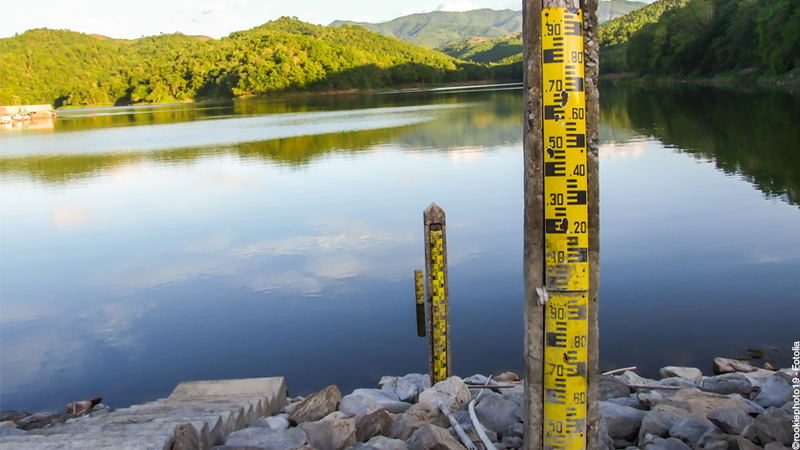 Hydrostatic level measurement is therefore seen as particularly simple and robust by its users. Please find here further information on WIKA submersible pressure transmitter applications.